The 18th hole is a great way to finish the round. 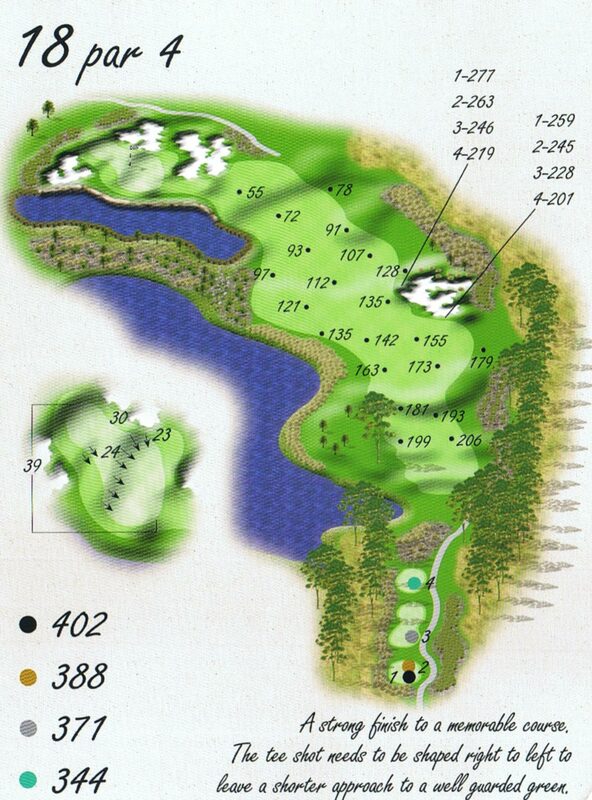 To have any chance of a birdie, the tee shot must play long and to the left side of the fairway adjacent to the water. Even from here a long accurate iron is required to the lakeside green. 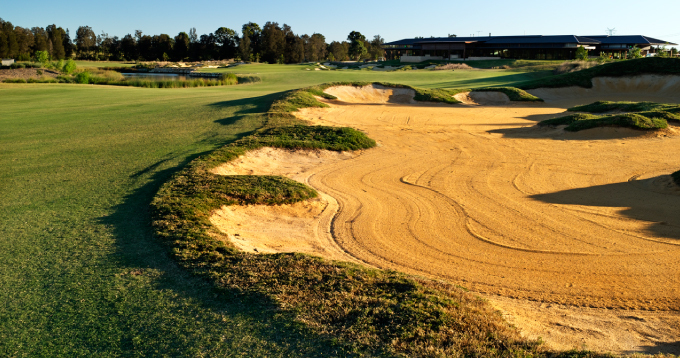 Players not feeling confident are advised to lay up for a short pitch home to the green. There will definitely be more bogeys than birdies on this hole.